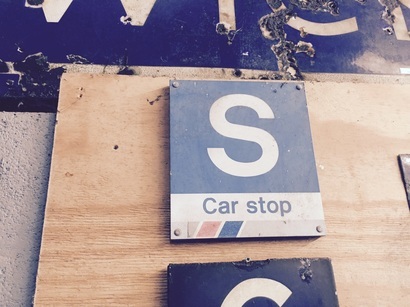 It is now 24 years since NSE ceased to exist. 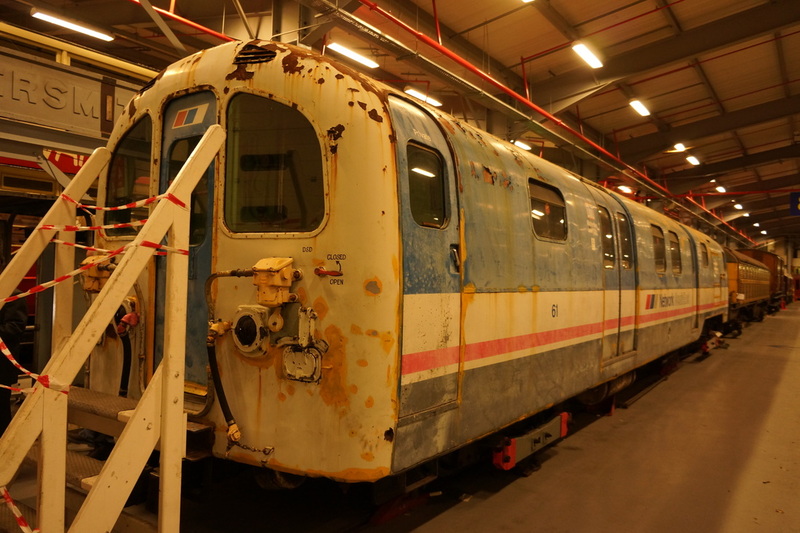 Traces can still be seen today, still in remarkable condition. 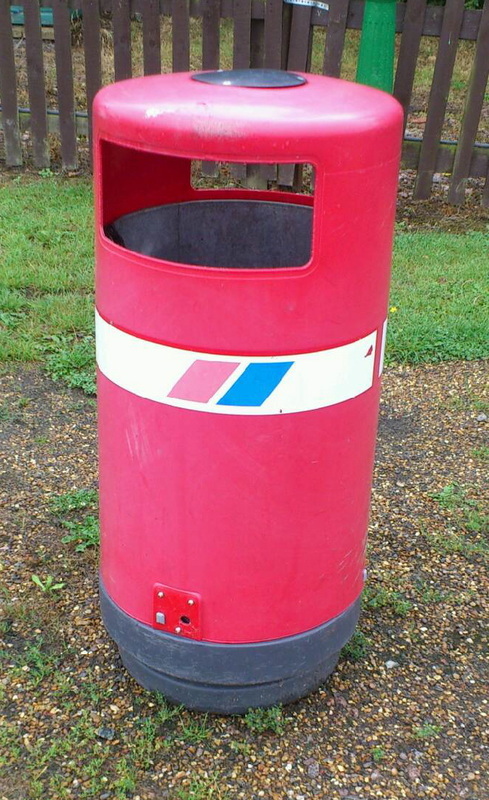 sponsor new concrete plinths. 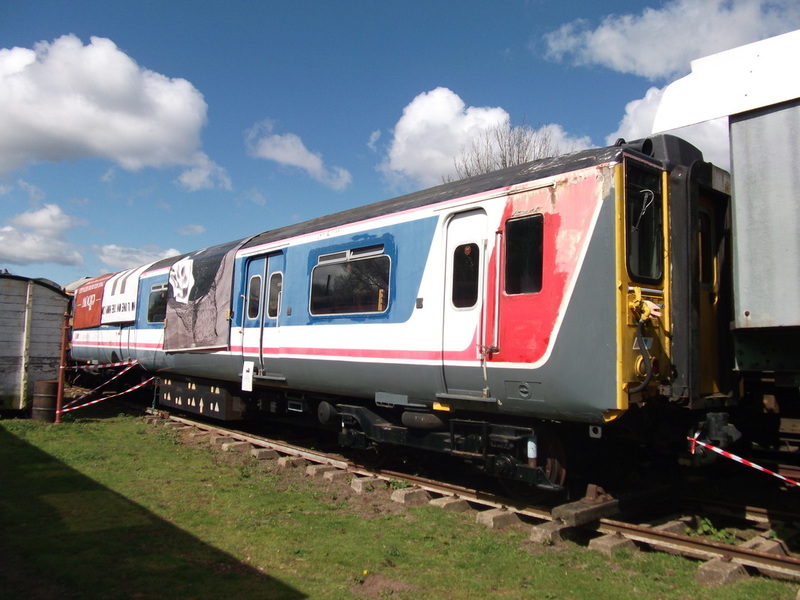 Some were done by NSE, as shown in the photos. 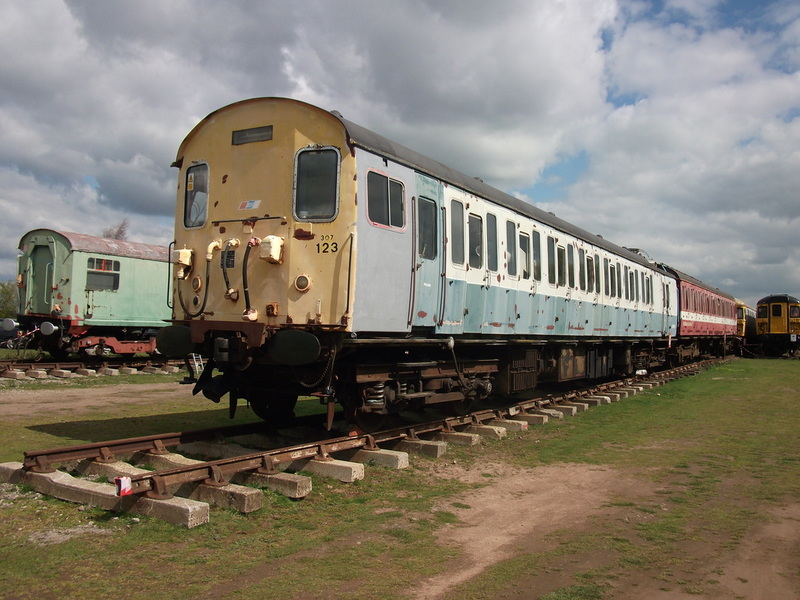 Taken on 27th April 2013. 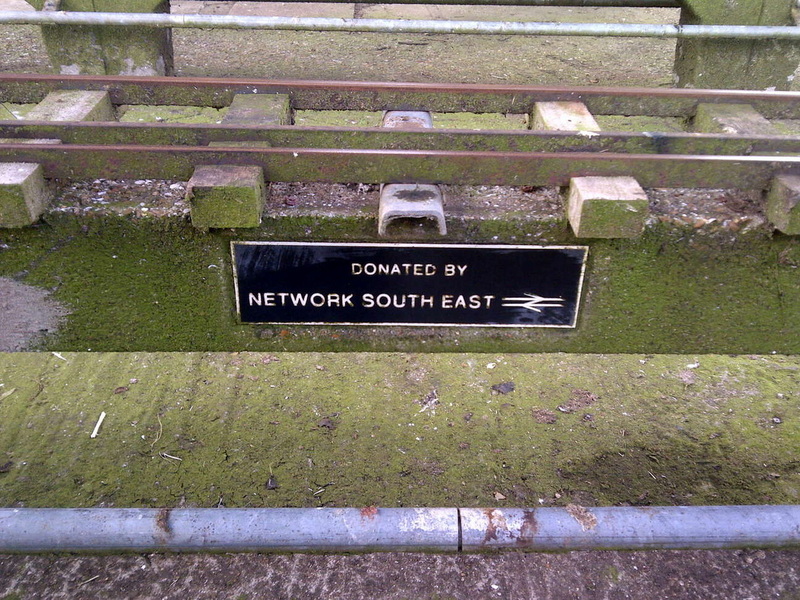 Plinth showing sponsorship by 'Network SouthEast'. 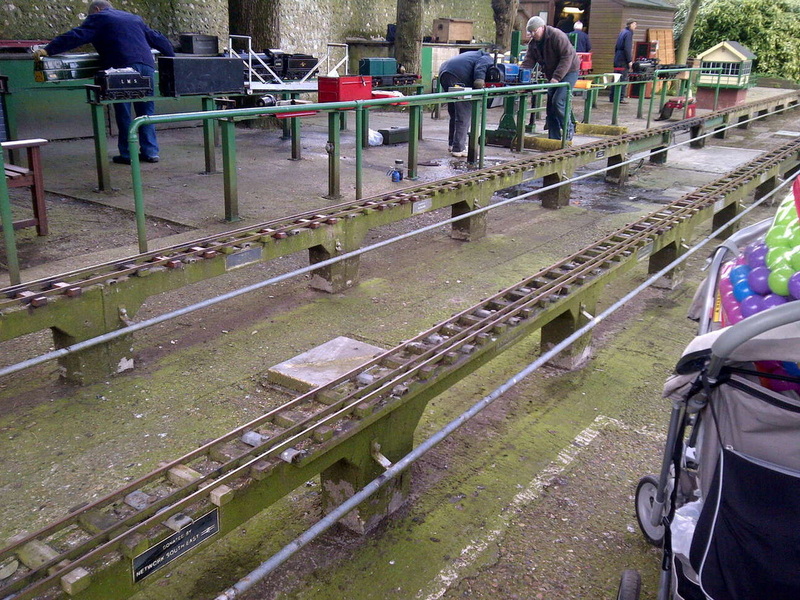 View of part of the Brighton & Hove Model Railway layout. 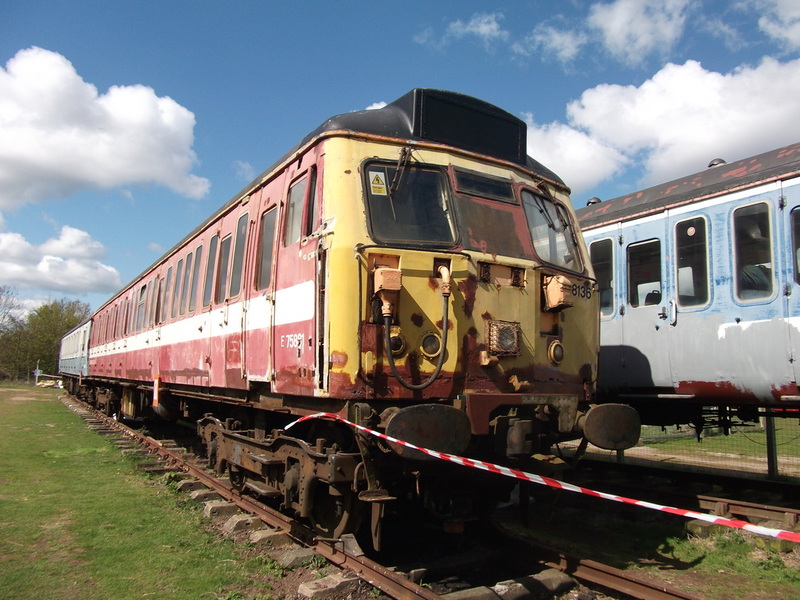 Information & Photos supplied by Neil Bird. 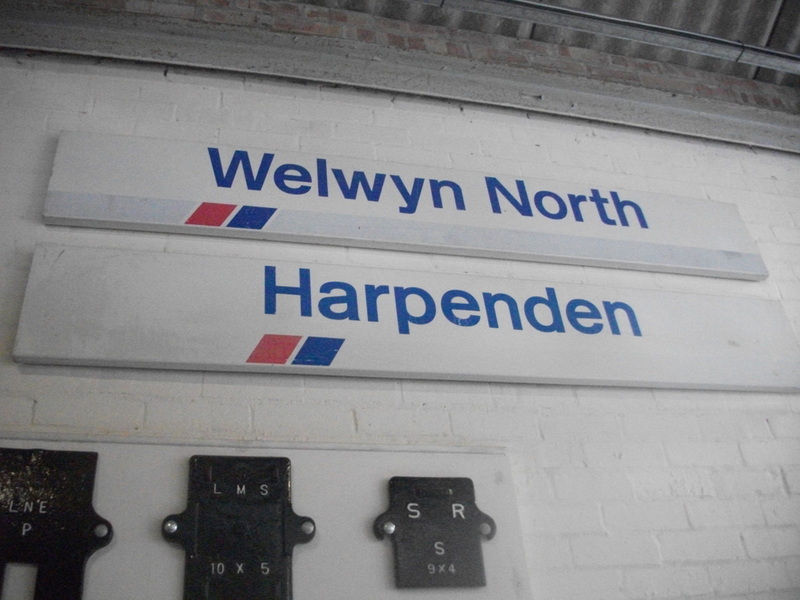 Welwyn North & Harpenden Stations Signs. Photos supplied by Sam Hawthorne. 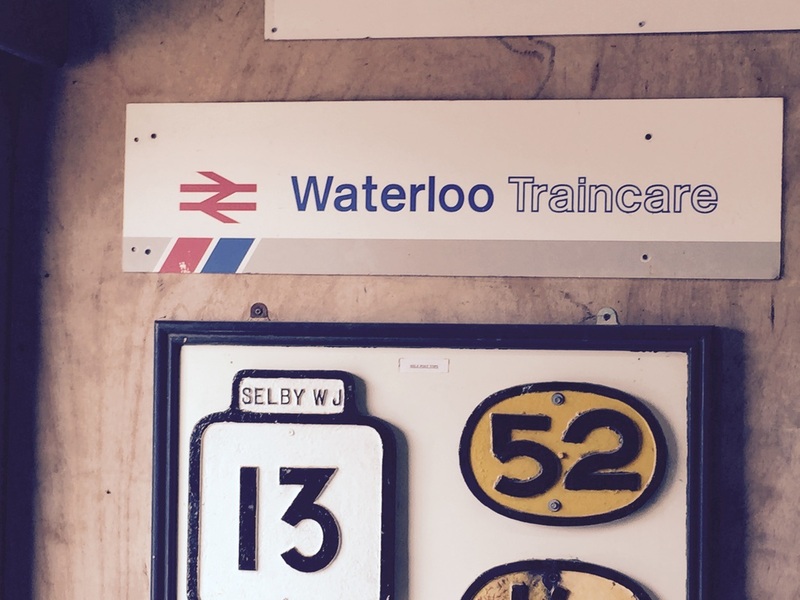 These signs have been preserved at the Buckinghamshire Railway Centre near Aylesbury. 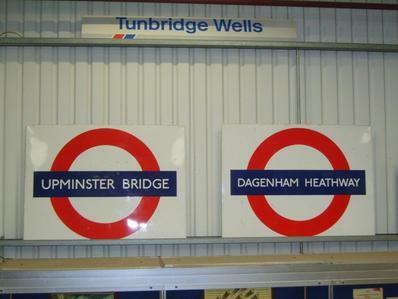 Taken in 2012. 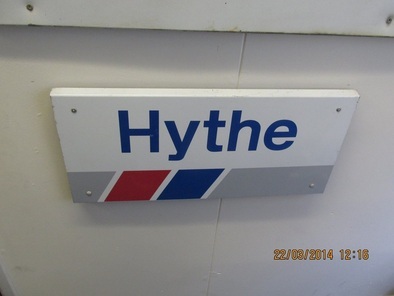 This platform name plate, originally from Hythe Station in Kent in now part of museum collection. 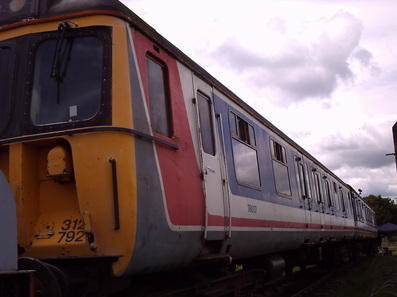 The museum is situated within Chappel & Wakes Colne Station. Taken on 22nd March 2014. 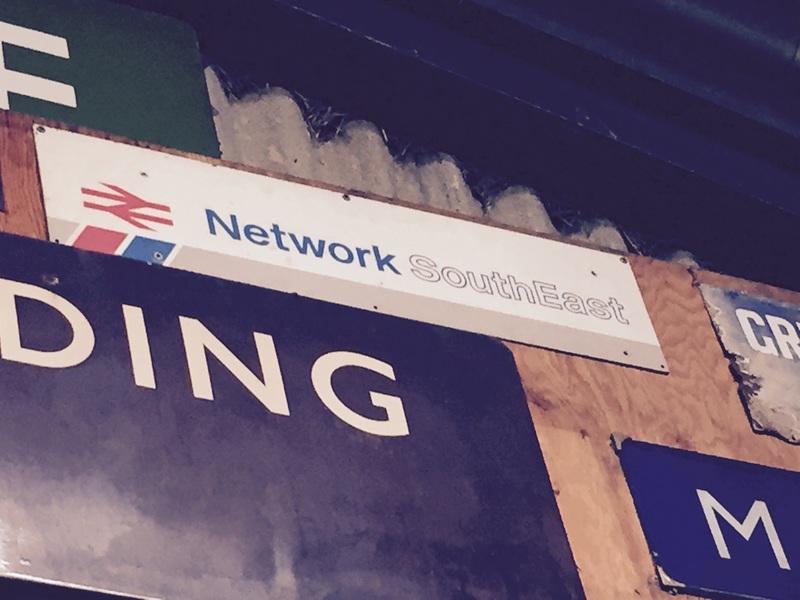 Network SouthEast Brading Station sign. 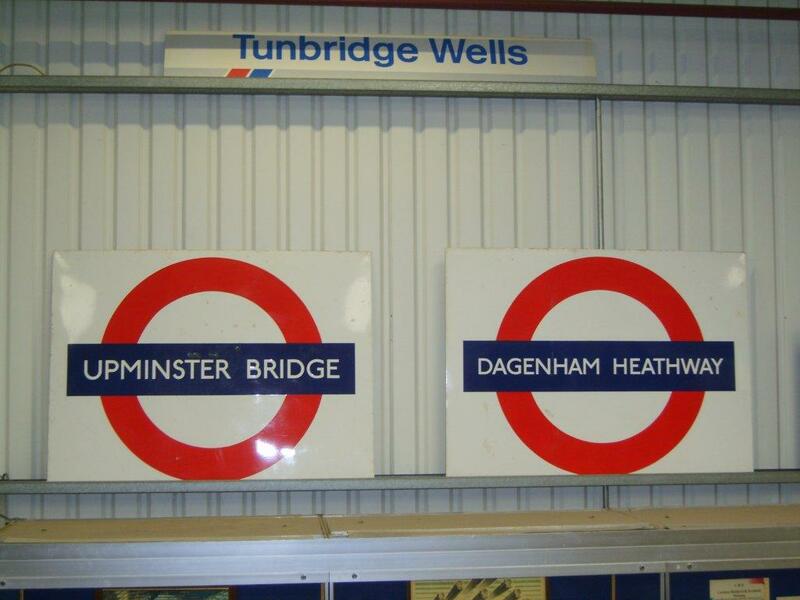 Information & Photo supplied by George Webbster. Report & Photos by Dave East. 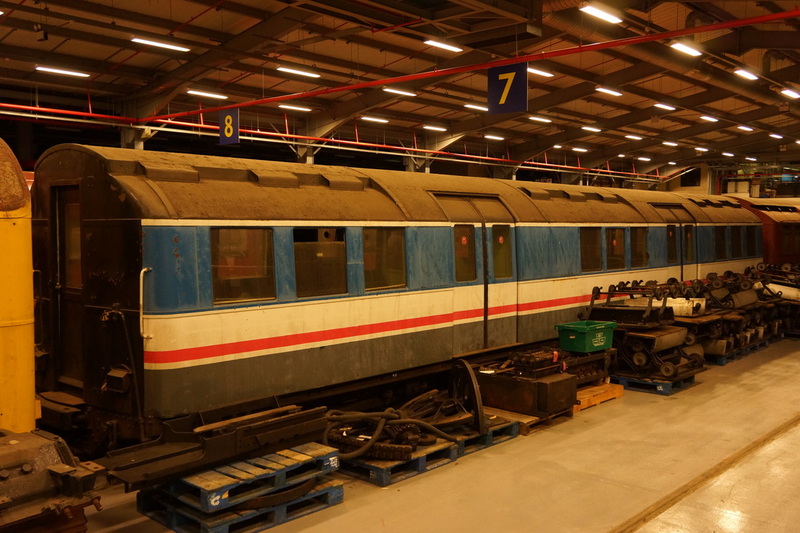 On Sunday 15 April 2012 I travelled to the Electric Railway museum at Coventry to renew my acquaintance with the 309 A/C units that I used to drive. 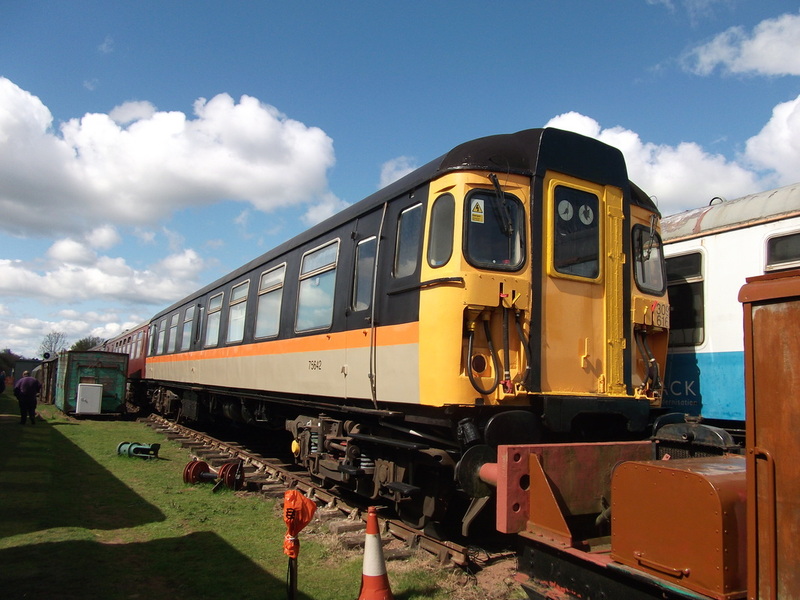 The Museum is situated next to the aviation museum by Coventry Airport and is in the process of being developed. including part of the 316 Networker motor test train that if not for efforts of the museum would be just a memory! The museum holds special open weekends through out the year and is well worth a visit so check out their web site for forthcoming dates! 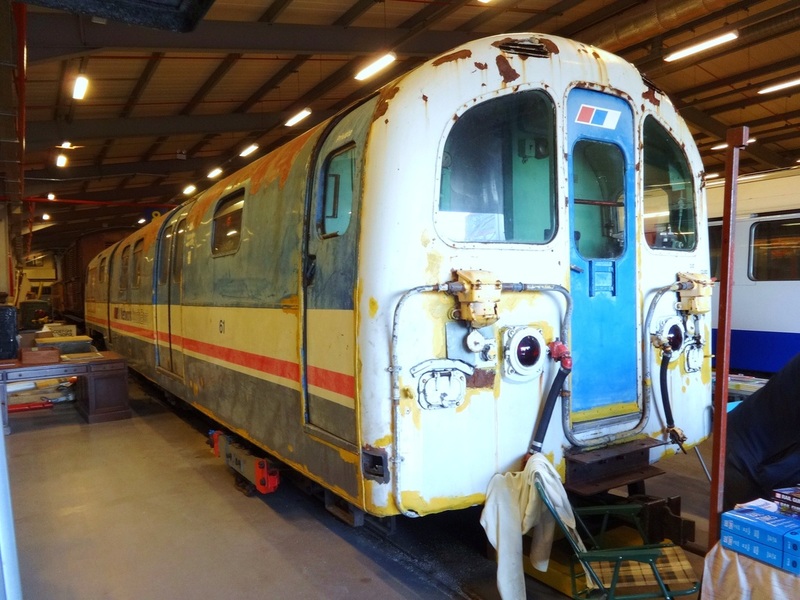 The 3 photos below were also taken at the Electric Museum, by NSERS Member Jim Coates. 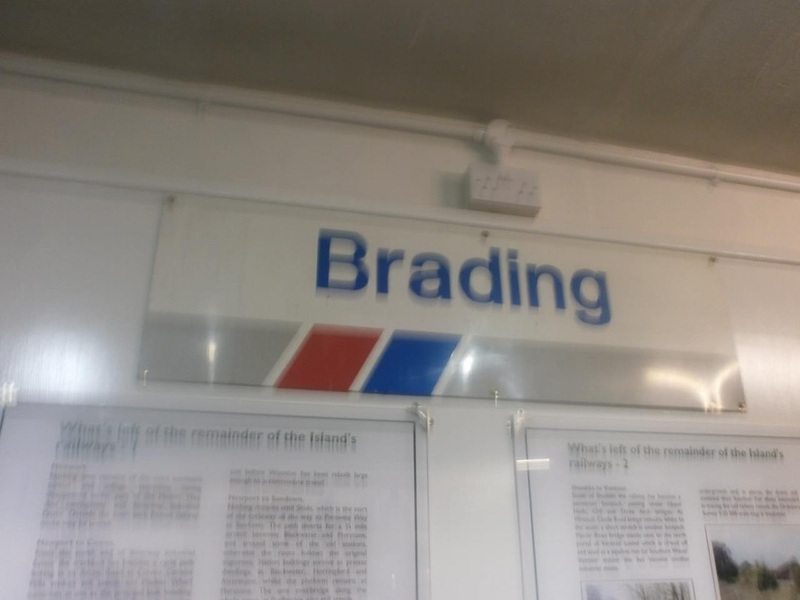 This sign is on display at the Museum in the former gasworks retort house, situated next to Haventsteet Station on the Isle of Wight Steam Railway. The Museum also contains a extensive collection of items from the History of the Railway. 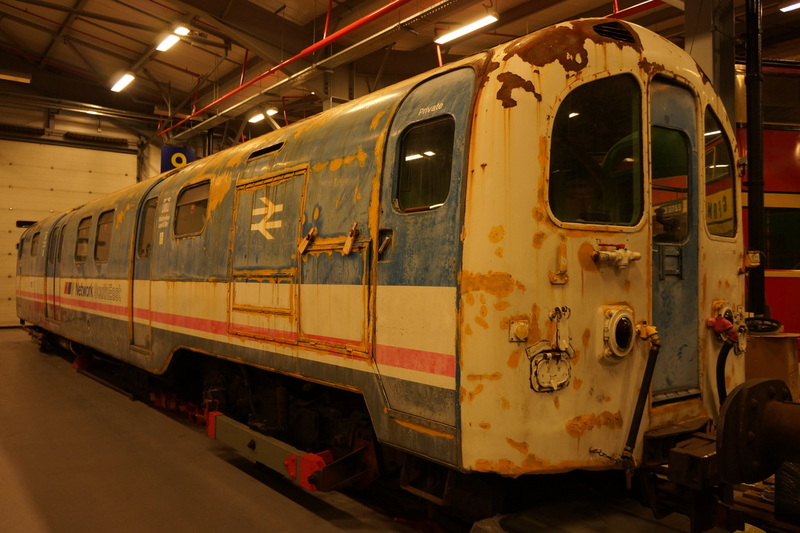 Taken on 30th March 2013. These signs are on display at the Ingrow Museum of Rail Travel near Keighley, West Yorkshire. Photo supplied by Paul Holroyd. Taken on 25th May 2013. All photographs taken by Paul Colbeck unless stated. 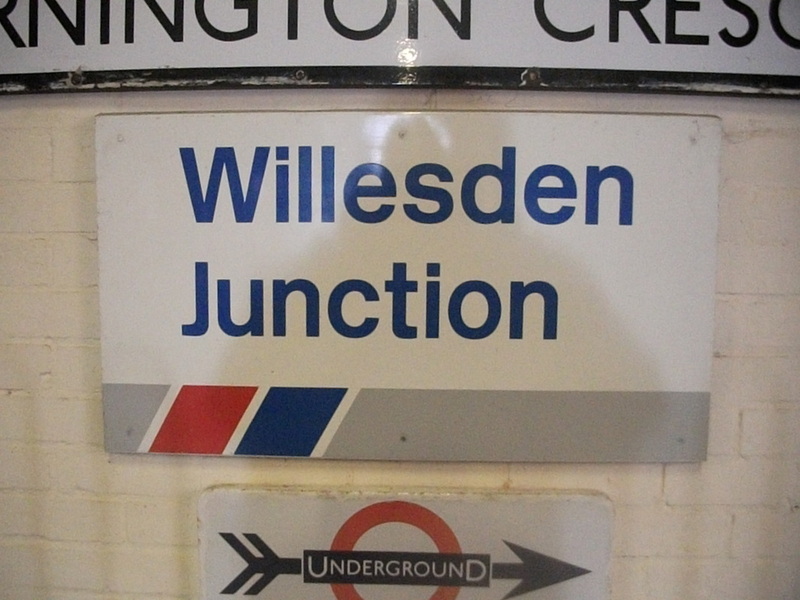 Taken 24th March 2012. Former London Underground 'Standard Stock' , used by British Rail on the isle of Wight Line between 1969 - 1992. Waterloo & City car 61 was last painted at Selhurst back in the early days of NSE. We hope that one day it will be returned to its former glory in NSE livery. 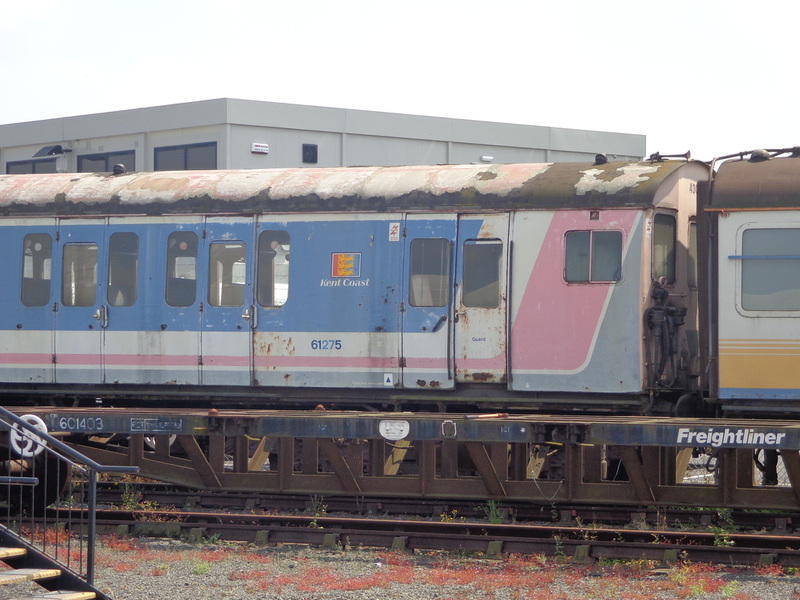 S61 at Acton Depot in 2014. Taken by Christopher Reavell. 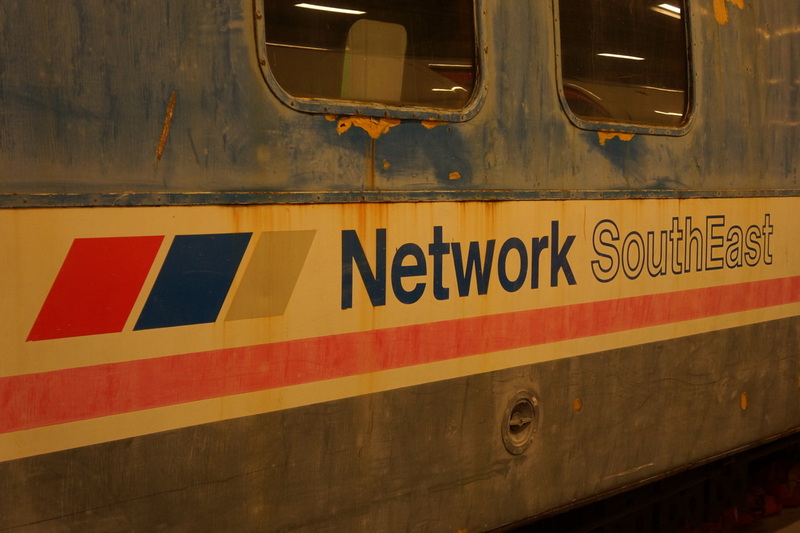 Network SouthEast Bin at Mangapps Railway Museum. 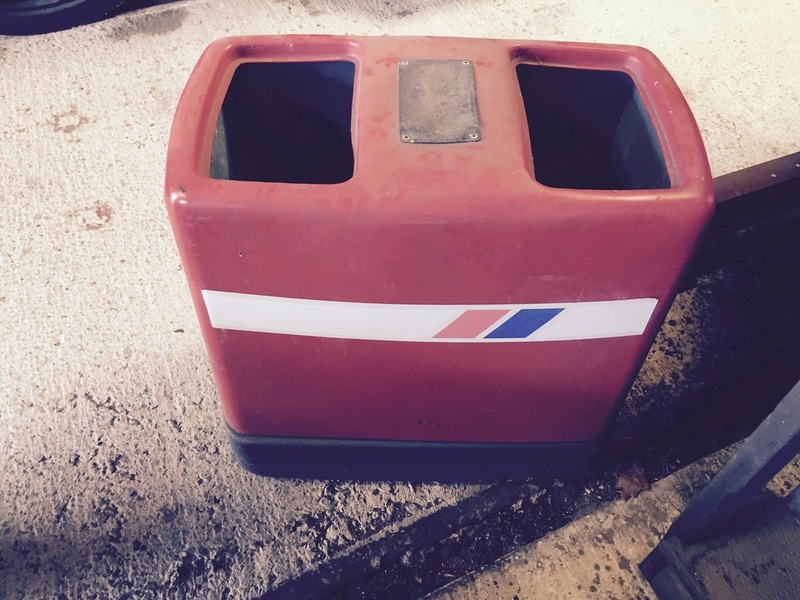 seen here in very good condition and still serving an every day purpose. 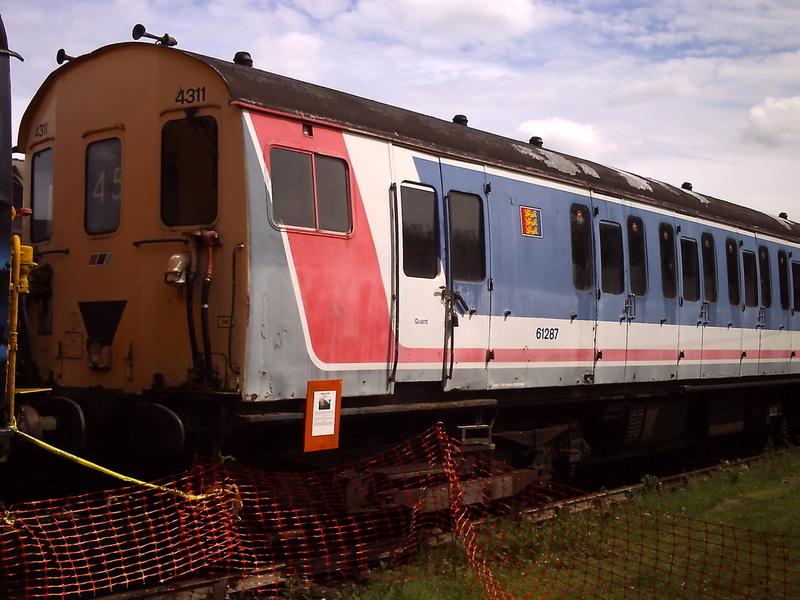 Taken on 24th August 2013. 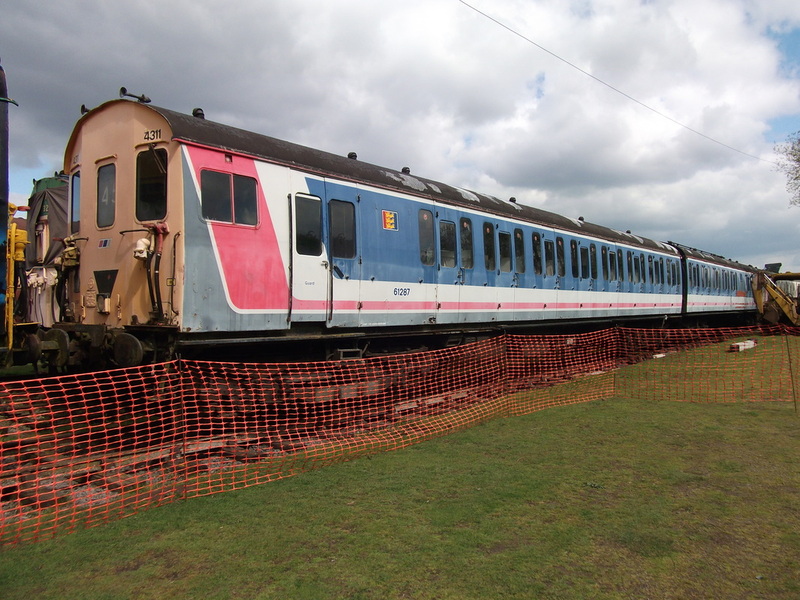 Information & Photos supplied by Lee Spenceley. Joshua Sammons also visit this location, and discovered a further feast of Network SouthEast items as shown below. 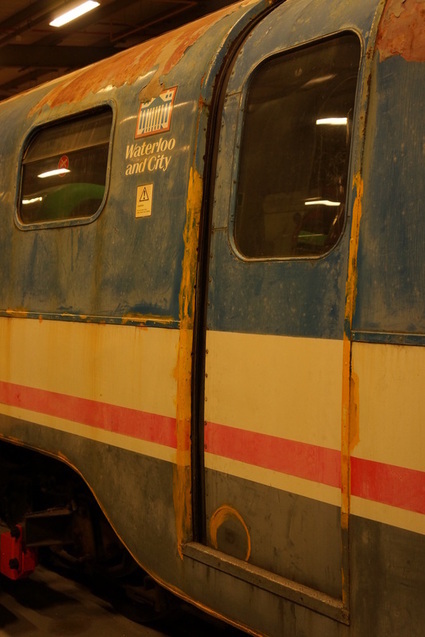 Taken on 29th August 2015. 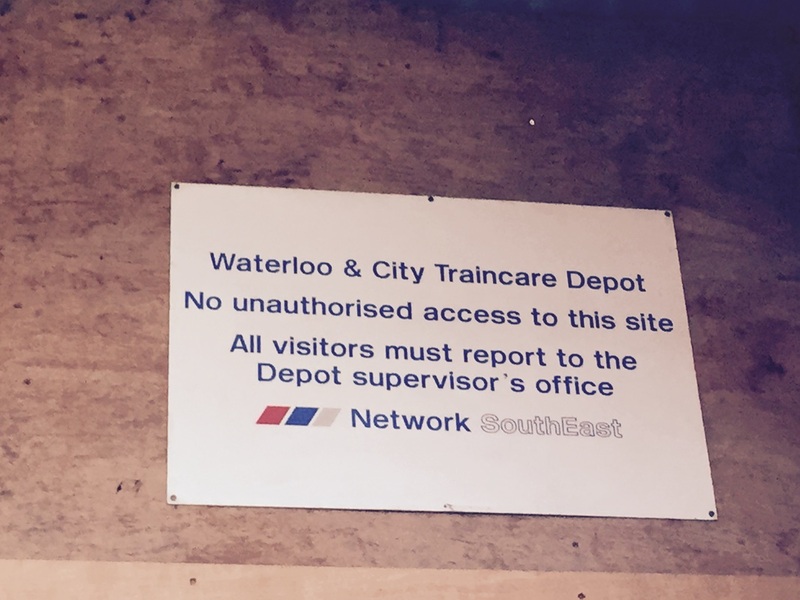 Network SouthEast 'Waterloo Traincare' sign at Mangapps Railway Museum. 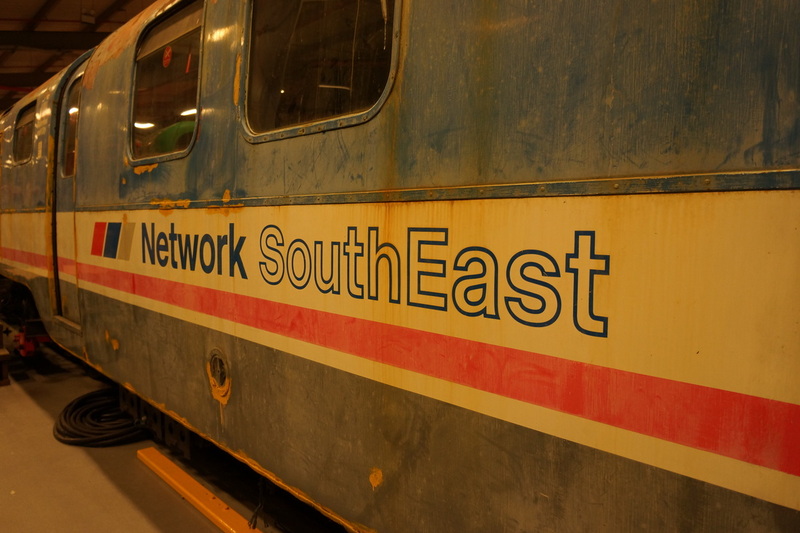 'Network SouthEast sign' at Mangapps Railway Museum. 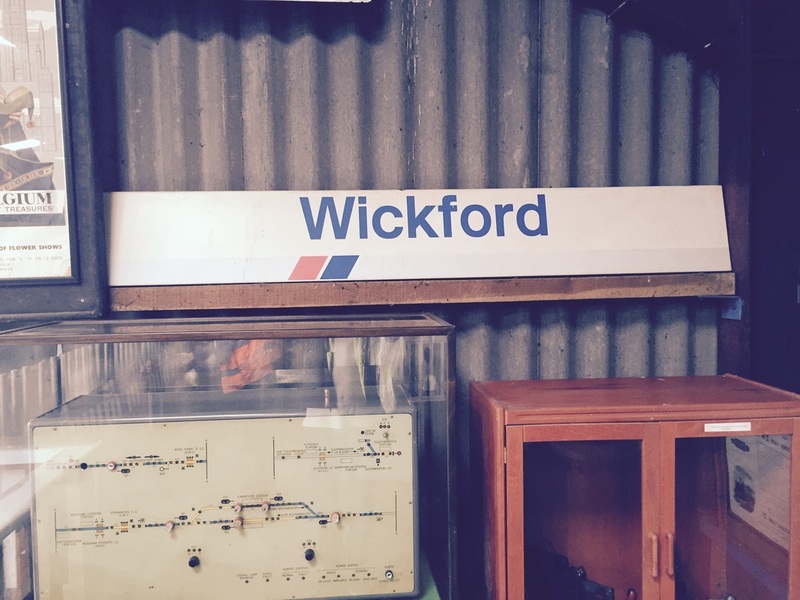 Network SouthEast 'Wickford Station' sign at Mangapps Railway Museum. 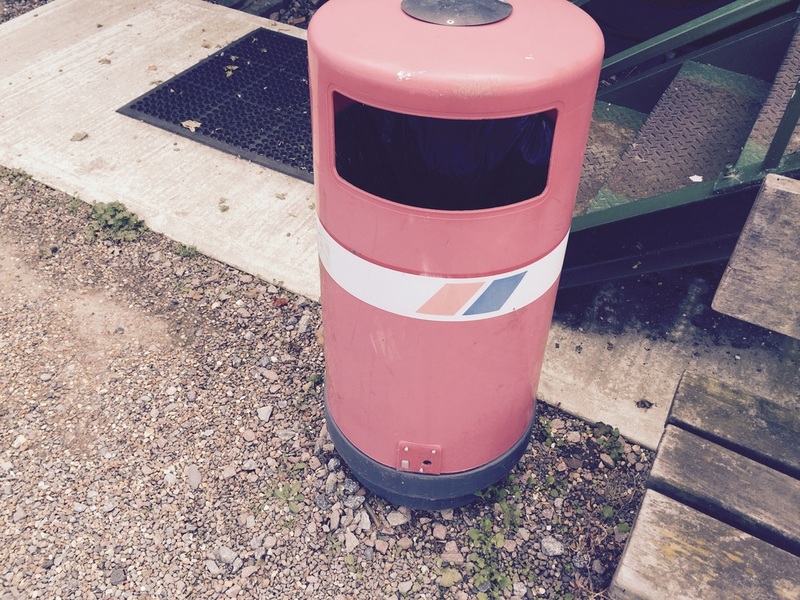 Network SouthEast 'BIN' at Mangapps Railway Museum. NSE 'S Car stop' sign at Mangapps Railway Museum. Information & Photos supplied by Joshua Sammons. 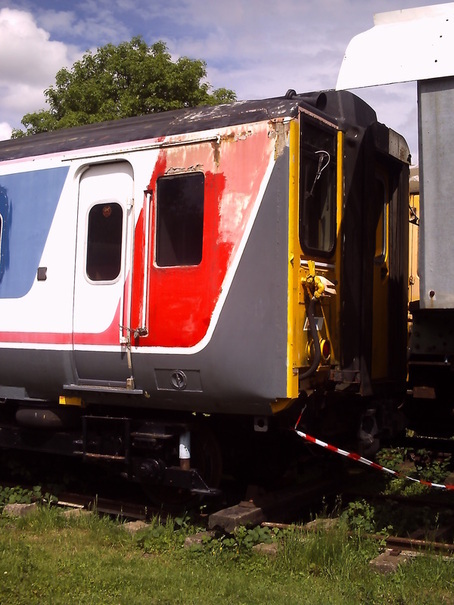 4308 on Mallard Day 3rd July 2013. 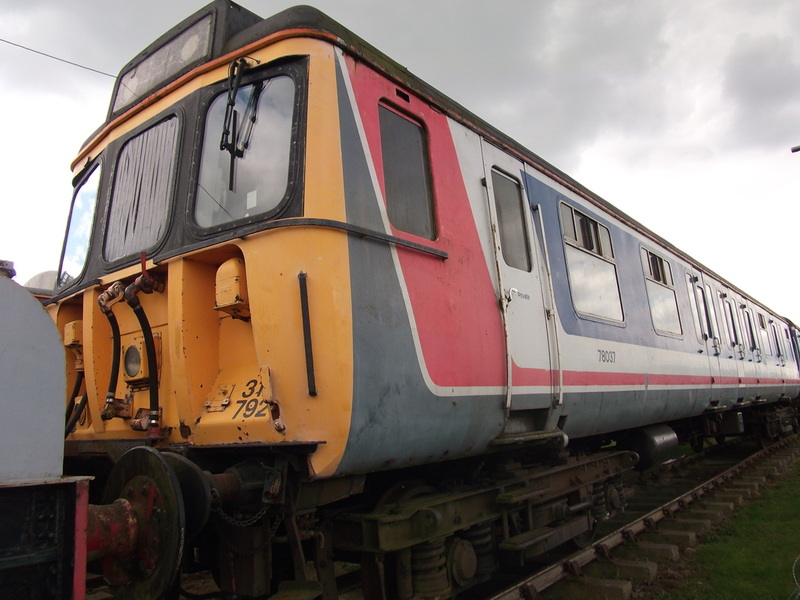 Information & Photos supplied by Lee Spencely.